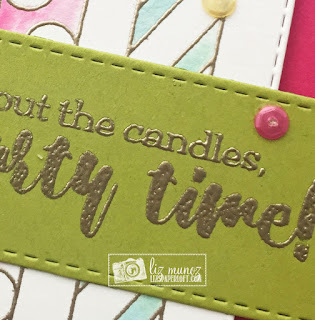 Liz's Paper Loft: MCT Tag It Tuesday ~ party time! 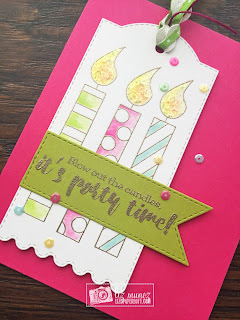 MCT Tag It Tuesday ~ party time! 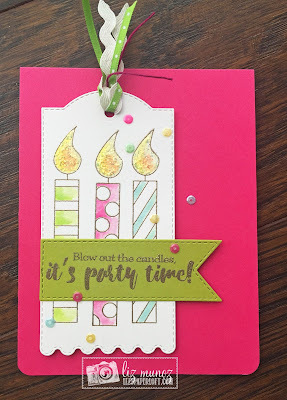 To make this tag I heat embossed my images and then watercolored the candles. Once it was dry I added the stickles and glossy accents to the flames. Super easy! Oh Miss Liz your tag is so pretty and cute....no worries you picture looks perfectly fine to me....love the colors and the creative ways you used all of Miss Emma's goodies. You did a super outstanding creative job. Your phone takes great pics!! No apology needed. Adorable tag! Love the colors! You still captured the sparkle and shine. 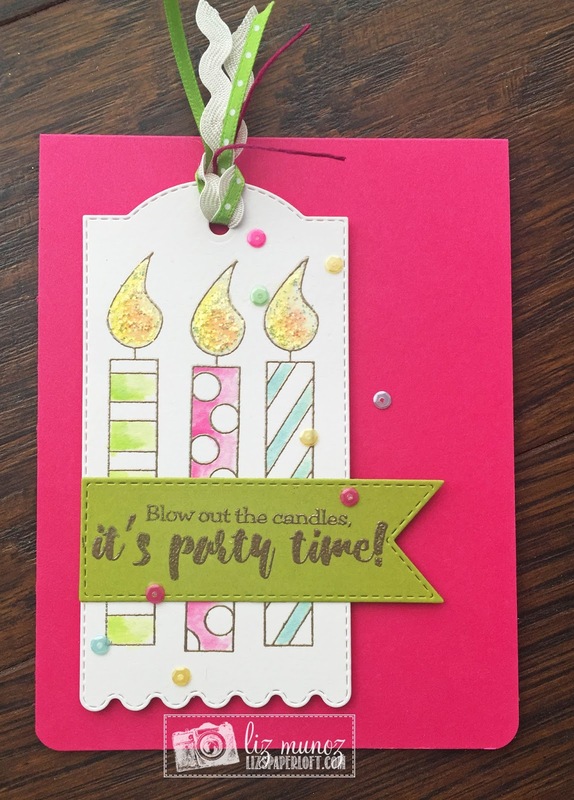 Love the colorful candles and gold embossing. Wonderful job. MCT Inspire Me ~ love! MCT August Release Blog Hop ~ pumpkin spice! MCT August Sneak Peek Day 4 ~ spooky! MCT August Release Sneak Peek Day 3 ~ eek! MCT Trending Now: Mixed Media ~ happy birthday!